Technical ability and an easy-going demeanor have helped Blake Eiseman excel at recording and mixing work with a wide variety of artists. He has worked on records for Usher (receiving a GRAMMY nomination in 2004 for his work on Usher’s album Confessions), Justin Bieber, Janet Jackson, James Brown, Boyz II Men, Arrested Development, TLC and many others. Blake also strongly supports the independent music scene, serving on the NARAS Board of Governors and working with many local artists, including mix work for Jaspects, Urban Grind, Shock Lobo, The Duke (Rich Ward, lead singer from Stuck Mojo), and Gwen Hughes. I have been delivering quality sound for over 25 years. True attention to detail and never-ending dedication are two qualities that give me the ability to deliver time and time again. If you are looking to give your music that “radio ready” sound, I am your man. Whether I am working on a platinum-selling artist or a demo for an up-and-coming artist, I give each project my full attention to detail and quality. I understand deadlines. 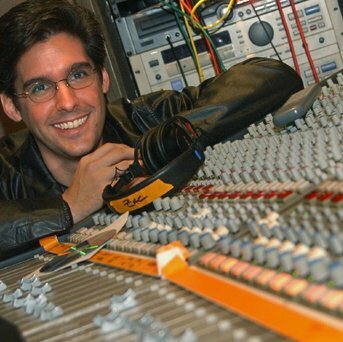 I spent the early part of my career at Doppler Studios, working under tight deadlines with radio and TV clients. This early education helped me learn to work quickly and efficiently, and I have carried that through to my work today. One of the first questions on a new project will be, “When do you need this done?” That way I can make sure your project will be ready in time. I understand that you are looking for an amazing mix on a reasonable budget. The days of the mega expensive mixes are over. I'll do my best to work within any reasonable budget, and while I’m not a “bargain basement” mixer, I am quite affordable. Please request a quote, and I will get back to you ASAP to discuss rates. I know there are a lot of options available for online mixing. But not all online mixers are made equal. Give me the opportunity to show you what I can do with your music, and you won’t be disappointed. Let me show you what makes me stand out from the crowd. Request a quote today and let's get started.